Up in Montana, the glaciers are melting rapidly in Glacier National Park due to a warming climate. Scientists have predicted that they will have vanished entirely within several decades. Alas, here in California, we have an analogous situation, our own “Glacier National Park” dilemma, as it were. Ironically, or perhaps tellingly, it’s in exactly the opposite kind of cold, wet alpine ecosystem that characterizes the Northern Rockies, where the soon-to-be National Park Formerly Known as Glacier is perched. It’s in the hot, dry Mojave Desert. Here resides a singular specimen of yucca (Yucca brevifolia) which was named the Joshua tree by early Mormon pioneers traversing the desert. Its bizarre shape and awkward, angular, exposed branches with tufts of spiky “leaves” at the tip make for a strange spectacle silhouetted against bright blue desert skies over the Mojave. It looks like a tree that popped out of a Dr. Seuss book. But Y. brevifolia reminded the early Mormons of the prophet Joshua lifting his limbs in prayer to the heavens, imploring God to protect the Israelites. According to an article entitled “Will California’s Drought End the Joshua Tree?” in Outside magazine, new research shows that most of the Joshua Tree National Park’s namesake plants are at risk from the extremely hot, dry conditions of the last several years. Cameron Barrows, a research ecologist with the University of California Riverside’s Center for Conservation Biology told Outside that if these hot, dry, conditions persist or worsen (as climatologists predict they will), 90 percent of the park could become uninhabitable to Joshua trees by century’s end. Existing trees would survive, because they have a life expectancy of hundreds of years, but they would not be able to reproduce in 90 percent of their current range. Without continually adding new individuals to a population, or “recruitment” as ecologists call it, any population of organisms will gradually but inevitably die out. Its days are numbered. 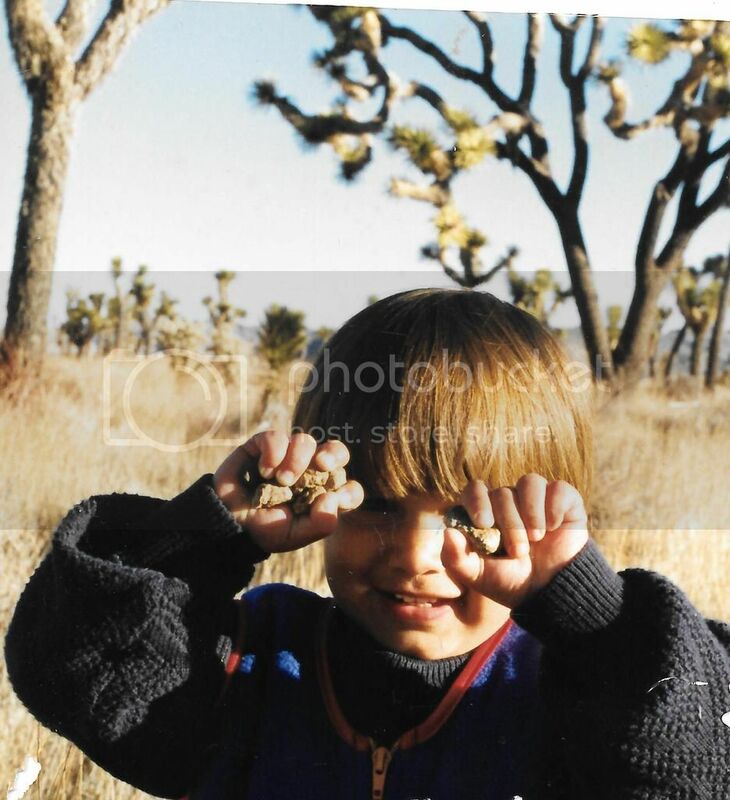 My two year old shows off his pebble collection on our camping excursion to Joshua Tree National Park. This is very sad, and I, for one, take it personally. I used to be a regular visitor to Joshua Tree National Park when I lived in Orange County, and am very fond of the Joshua tree itself as a remarkable, unique, hardy survivor. I’ll never forget the first time I took my two-year-old son camping there with me one frosty December evening. We were the only ones in the entire campground, and it was the first night he’d ever spent away from his beloved mom or in a sleeping bag inside a small dome tent. It was chilly there up at about 3,000-4,000 ft. elevation, and so we’d gathered some sparse scraps of firewood and dead, desiccated cactus stalks to make a small campfire. As long as my toddler was occupied he was OK. But after it got dark, as the glowing Milky Way came into view in the vast vault above, the unseen coyotes started yapping, and the cold enveloped us just beyond the thin warmth of the fire, the longing for his mom engulfed my son, and he started sobbing uncontrollably. It took an hour to distract the little tyke again and calm him down. Simply put, without its iconic namesake, Joshua Tree National Park won’t be Joshua Tree National Park anymore – any more than Glacier National Park could be Glacier National Park sans glaciers. 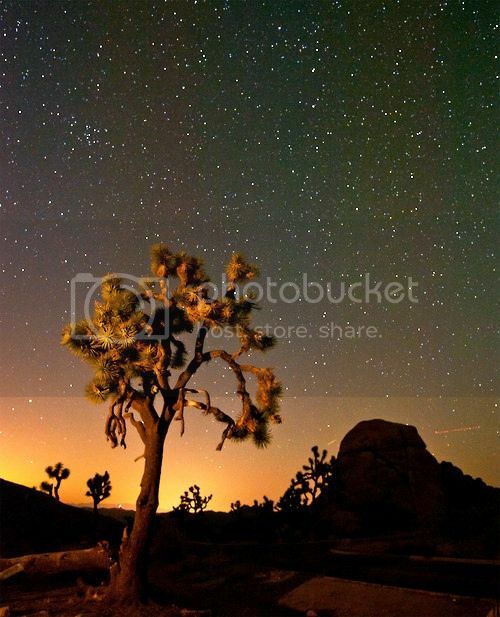 Joshua Tree National Park encompasses almost 800,000 acres (1,250 square miles), and it stretches across the boundary between two ecosystems – the hot, dry Colorado Desert and the relatively cooler, wetter Mojave Desert. 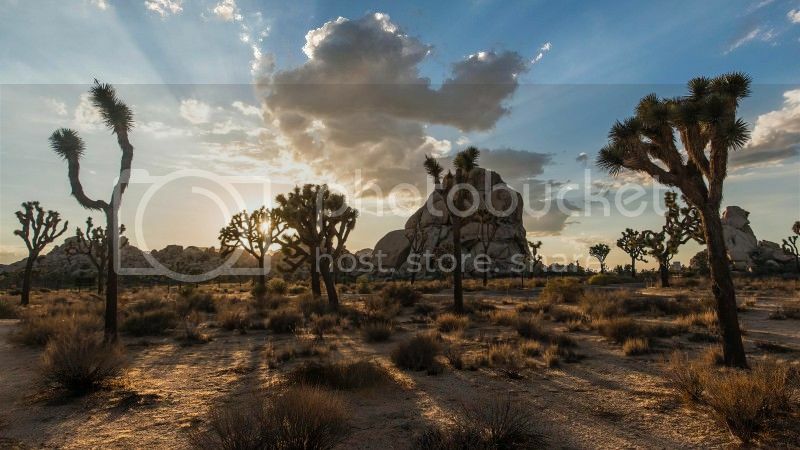 Whenever it does rain, Joshua trees absorb the water directly into their trunks and can conserve it for years. Now, however, reports Outside, some years have passed since the park has received its historic annual average of four inches of precipitation. 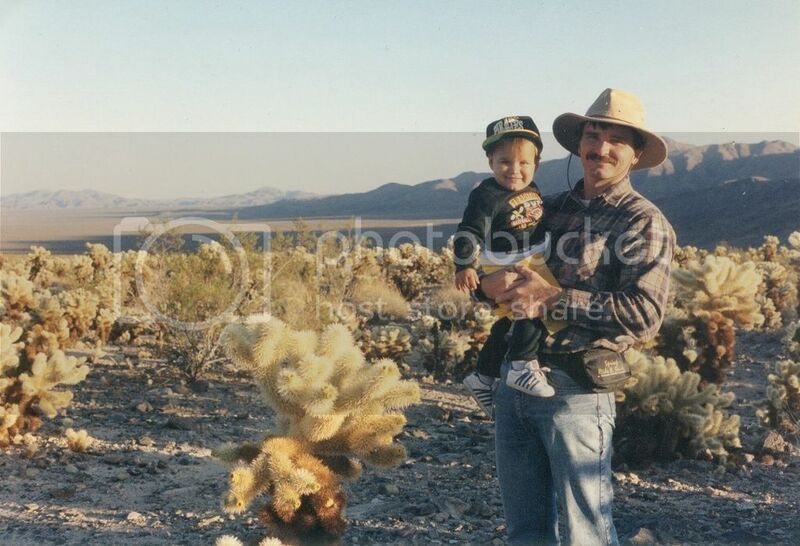 Joshua Tree National Park and the Mojave Desert boast more than this one iconic species of yucca, including oases, palm trees, cholla cactus and toddlers in Pittsburgh Pirate baseball caps. As denizens of the desert, Joshua trees are reasonably well-adapted to such arid, harsh conditions, but they will struggle to survive the “mega-droughts” climatologists predict to smother California in the coming years. Fortunately, this one species has a lot of human fans who can help it migrate to better climes, if it comes to that. Who knows, maybe in a hundred years Sequoia National Park will be renamed Joshua Tree National Park 2.0. And where will the long-lived sequoias go? Mt. Rainier National Park up in Washington state? I’m treating a serious matter with all too much levity. The dilemma, of course, is the sheer scale and rapid rate at which human overshoot is changing and endangering the biosphere. Ultimately, this may overwhelm even the best-intentioned efforts to mitigate the damage our species has inadvertently wrought as we sought to survive and prosper…and procreate without any sense of limits.